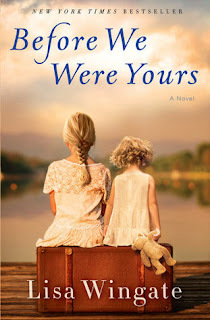 I'm reading Before We Were Yours. She smoothly ignores my implication and changes the subject. "I believe I knew her. Your grandmother. We shared bridge club, I think." She points the knuckle of a bent, craggy finger in my direction. "You favor her quite a bit." Sounds like a good one. Happy weekend!